FLINT, Mich. (AP) — New accounting figures show Michigan has spent nearly $25 million on attorneys handling cases involving the Flint lead-tainted water crisis. Data from Michigan agencies and the Governor’s Office show attorney spending has reached more than $24.8 million for the 2014 crisis that began after Flint switched its drinking water source to the Flint River without adding corrosion-control chemicals. State records show spending on civil and criminal attorneys for the Michigan Department of Environmental Quality and its employees alone has surpassed the total state appropriation for the 11 active water crisis prosecutions, the Flint Journal reported. The Legislature reserved $6.2 million for the prosecutions and the environmental department has already been billed $6.7 million by attorneys. Gov. Rick Snyder’s office has been invoiced around $5.9 million and the Department of Health and Human Services has been billed about $5.7 million. 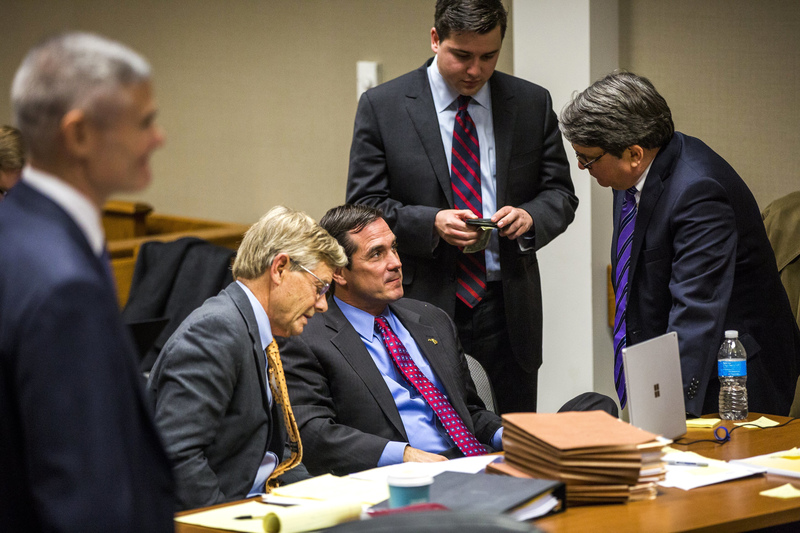 Michigan’s Treasury Department has promised to reimburse Flint at least $300,000 for attorneys representing three former emergency managers. But the reimbursement plan is still under review, said Ron Lexi, a spokesman for the department. There is still far to go for many of the criminal prosecutions. One case has been sent to Genesee Circuit Court for a jury trial but most haven’t advanced that far, despite defendants being arraigned more than two years ago. Special prosecutor Todd Flood said he’s working to match the resources of defendants, whose attorneys are paid through taxpayer money. “If it costs $5 and I get $3 we’re going to have to cut some corners but we’re going to get it done,” he said.